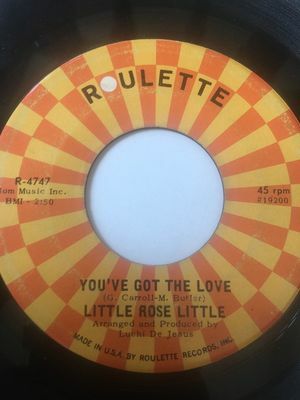 Little Rose Little on Roulette 4747. "You've Got The Love" and "Into Something Fine". The vinyl is in VG+ condition. The labels are clean. Please click below to hear actual sound clip of record.